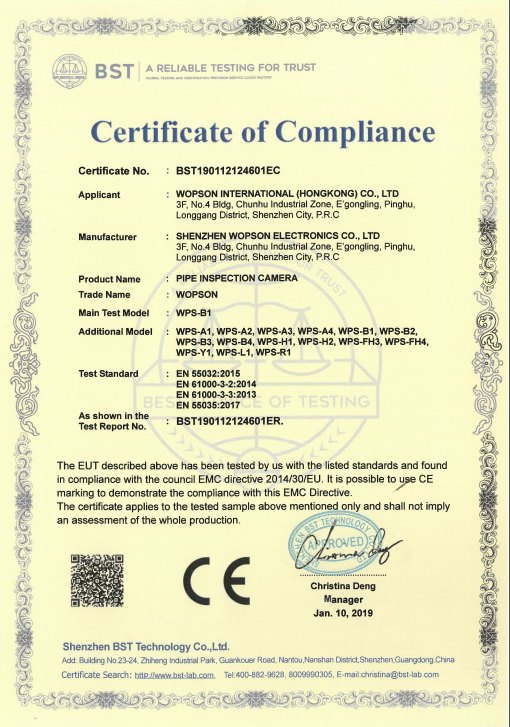 China Industrial HD CCD Camera Inspection Camera supplier - high quality Pipe inspection camera Simplified series for sales, Pipe inspection camera Simplified series manufacturer. Power plant: It can be used in the inspection and maintenance of nuclear power plant, fire power station, hydropower station boiler, heat exchange pipe, condenser pipe and steam turbine, generator rotor, center hole and joint box. Metallurgy and iron and steel: for the daily maintenance of equipment and all kinds of pipe production quality control. BOG25 Series Portable Pipe endoscope portable power supply with 9-inch high-definition liquid crystal display integrated design, easy to carry, simple, low illumination with high clarity industrial CCD camera, in the dark working environment can also be detected, imported glass fiber elastic cable can be loose in the pipeline.